What are the secrets to making a company enduringly valuable? 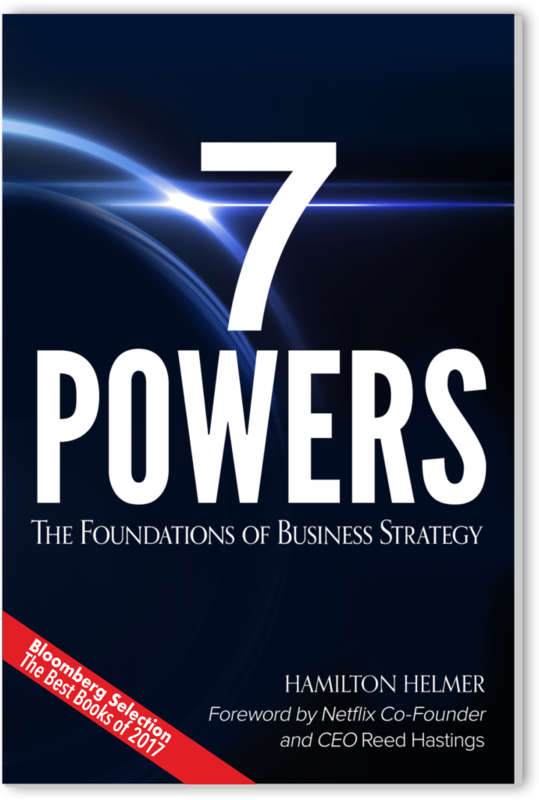 Netflix CEO/Co-Founder, Reed Hastings, talks with 7 Powers author, Hamilton Helmer, about the advantages of Helmer’s Power Dynamics. Former Barclays Global Investors CEO, Blake Grossman, congratulates Helmer on releasing 7 Powers, with its innovative ideas on company value.